Has the Lord instructed you to write a book, but you don’t know where to begin? Are you ready to get your message out and into the hands of your flock? How do you get all of the thoughts and teaching points into a cohesive document that will soon become your book. 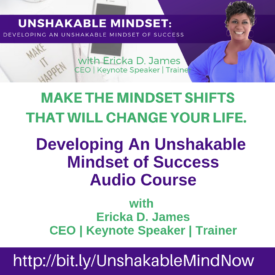 As she wrote her first 4 books, Ericka was asked so many questions that she decided to share her secrets in this 2-CD audio teaching and workbook walks you through getting started all the way to the point of holding your book in your hands.